On April 3rd Strathclyde Sirens and Scottish Thistles Captain Claire Maxwell joined the BBC to Launch their Netball World Cup countdown. Claire was joined by England Netball’s Head Coach Tracey Neville (MBE) and Northern Ireland’s Head Coach Dan Evans to launch the #100Days100Girls100Goals campaign which will see the sports elite players share their goals and celebrate how they can empower women and girls through netball. Throughout the Morning Claire appeared on several BBC Programmes to promote the Vitality Netball World Cup 2019 and share the campaigns message. 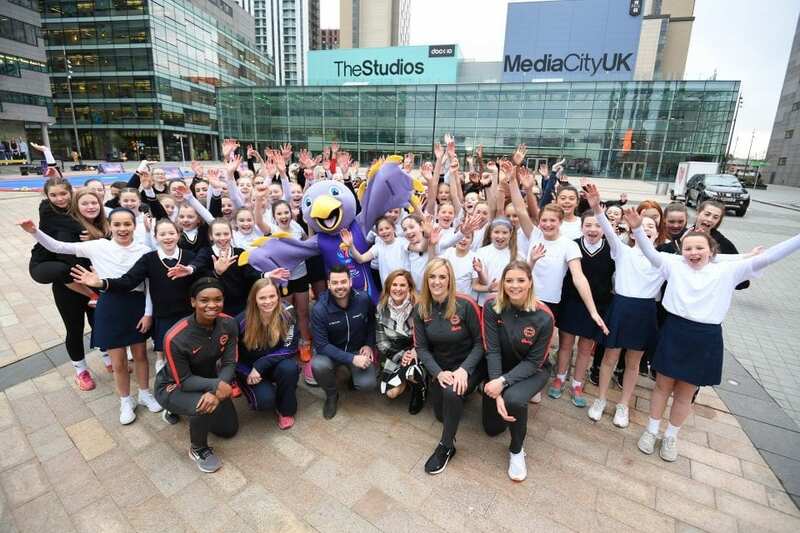 Claire, joined by Tracey Neville (MBE) and Dan Evans, began the day live with Sally Nugent on BBC Breakfast to celebrate the 100 Days to go countdown at Salford’s Media City. The group were joined by 100 schoolgirls from Loreto Grammar School, Manchester High School for Girls, St Bede’s College, and St Patrick’s RC High School where a pop-up netball court was erected, and various netball activities were displayed. Tickets to the Vitality Netball Superleague Big Easter Weekend can be found here. Tickets to Sirens Netball v Wasps can be found here. 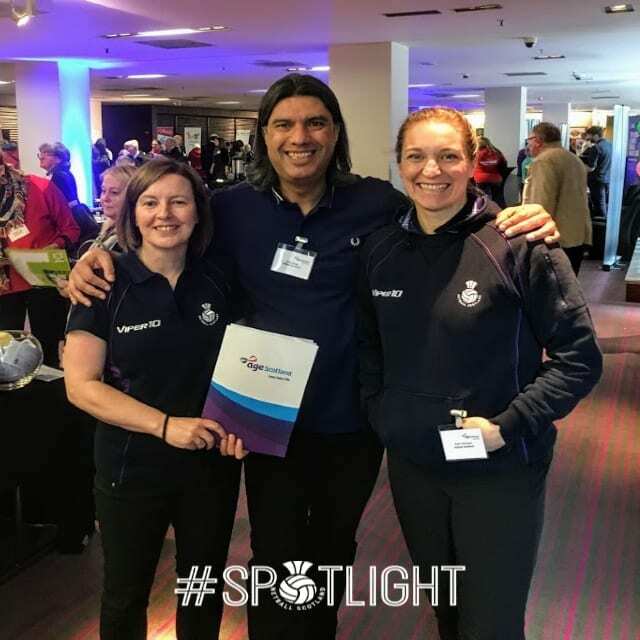 Claire then seamlessly stepped into BBC Radio 5 Live for an interview with Rachel Burden and Nicky Campbell, to discuss the growth of netball. 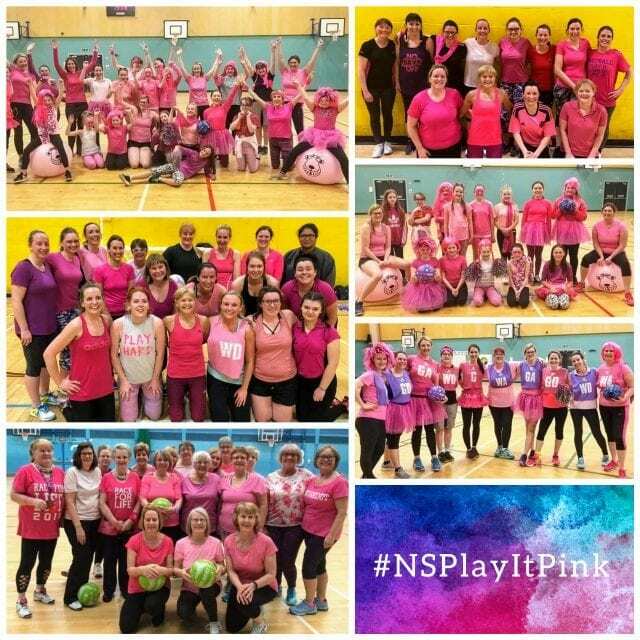 If you want to Bounce Back to netball, or just find out more about netball in your area click here. Claire ended the day in a far more inconspicuous manner returning to the pop-up netball court to run through drills with 100 school girls from surrounding Manchester schools. This was filmed for a short piece on The Netball World Cup shown on Newsround later that day, with several of the school girls being interviewed to share their excitement and what they hope a home World Cup could lead to for the future growth of netball in the UK! The Netball World Cup will be held in Liverpool from Sunday 7th of July and will run for 10 days, finishing on Sunday the 21st of July with the Netball World Cup Final. If you want to follow the Thistles on their #RoadToLiverpool you can grab your tickets here.